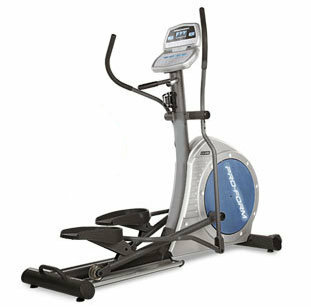 Endurance B2.5U upright exercise bike is one of the best efficient commercial exercise bike. 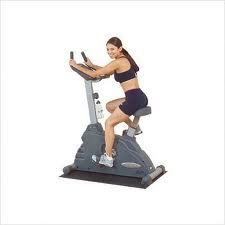 This exercise bike has comfortable design with styling handlebars and DuraFiurm padding. With a lifetime service of cardiovascular health and fitness, its quite performance and smooth ride give it a lead among other bikes. 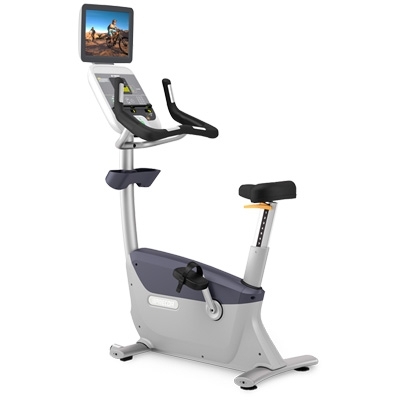 Among other features it has contact heart rate, different resistance levels, top of the line electronics enabling constant feedback , stylish design and quite ride. Profile Matrix LED display - this interactive display panel allows you to easily monitor your workout and achieve optimal effectiveness. 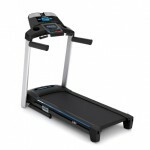 The monitor capabilities include calorie burn rate, heart rate, speed, resistance, distance and time keeping your workout interesting and efficient. Comfortable Design - Competition style handle bars, DuraFiurm padding and upholstery, 20 levels of easily adjustable magnetic resistance and a 10 position touring style seat give you a much more comfortable ride than a traditional road bike. Monitor your heart rate with the contact activated pulse sensors to stay in optimal exercise range for your personal goals and ability.